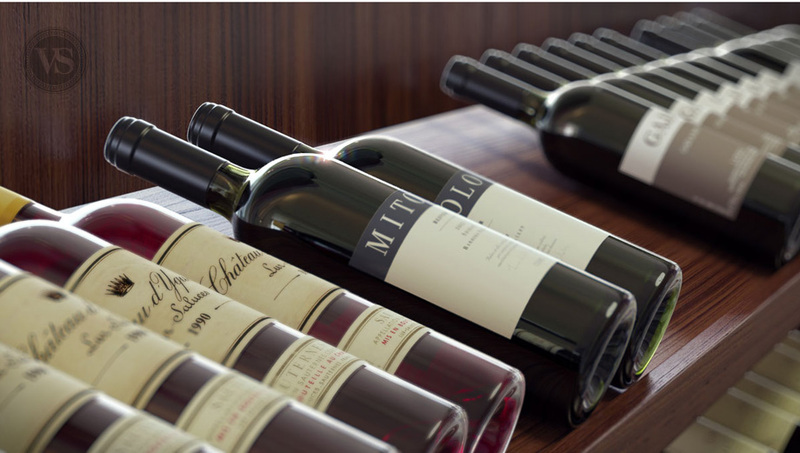 With their quiet contemporary elegance our custom-made « En Cuisine » range of wine cabinets can be adapted to fit into any space for seamless integration in your kitchen. The UV-resistant glass front can be embellished with a design chosen by you from our selection of artwork. 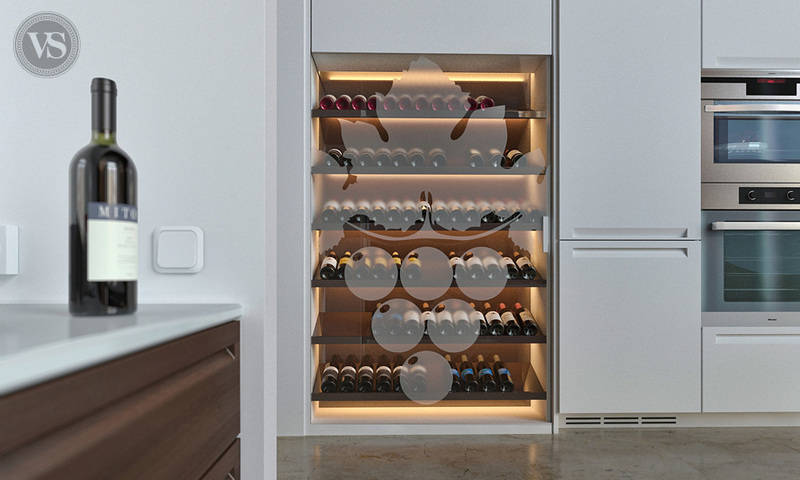 The interior fittings of these wine cabinets can be made to match your kitchen units perfectly. 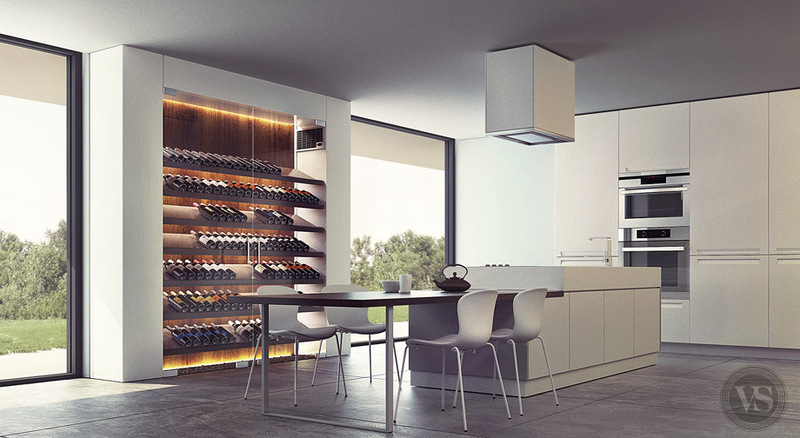 The two models shown here feature a rosewood interior and white-lacquered Corian® exterior. Deep red lava stone flooring enhances the space and creates a link with the garden outside. 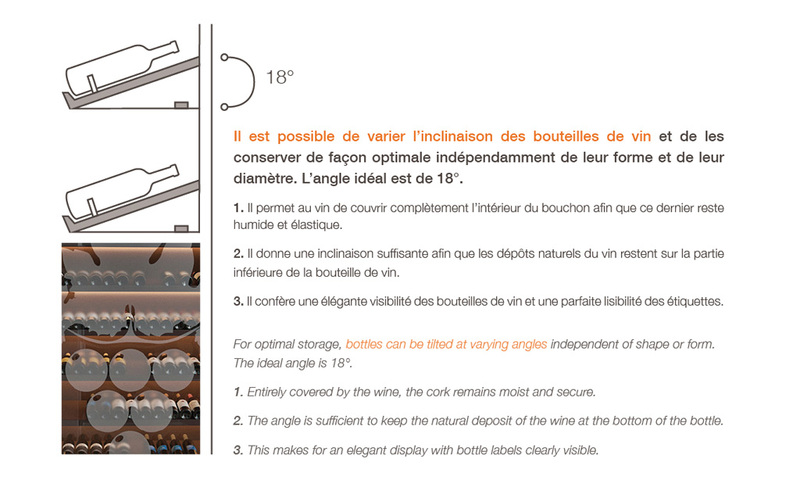 Bottles can be stored horizontally or tilted at 18° to ensure the cork remains moist and to display the labels of your wines.